These two teams clashed in Group C of the regular season in the Euroleague and it was the hosts that came out on top of the group. Lokomotiv had an 8-2 record in that group while the Catalan club came in just behind them on a 6-4 record over the two games. This will give Lokomotiv optimism for this tie but the Catalan club have been better in recent weeks so this could be the closest of the playoff games. The two teams met in Krasnodar way back in Round 10 of the Euroleague regular season and there was a 4 point win for the hosts in a game that decided who took top place in the group. The 78-74 win will provide Lokomotiv with a great deal of confidence. Malcolm Delaney offered up 19 points and 9 rebounds in that win and he has been one of the star players of the season for Lokomotiv. With an average of 15.8 points per game this season, Delaney is the man that the home fans will look towards to make the difference in these games and if he does, the team from Krasnodar could be heading to the Final Four. There was also a 4 point home win when the two sides clashed in Round 5 of the regular season. FC Barcelona managed to triumph by72-68 in that game, so we have two teams that are pretty close in their previous games this season. 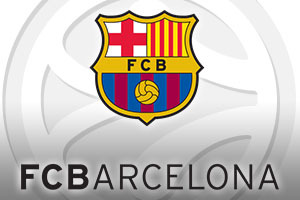 This was Barcelona’s fourth win in a row, after losing their opening game of the season and Ante Tomic was at the heart of the positive moves undertaken by the team. Tomic managed to pick up 16 points on the evening and for the season he has an average of 10.3 points per game. He is the player the Catalan fans will pin their hopes on. This definitely looks like being the closest tie of the playoffs and the bookmakers don’t disagree! 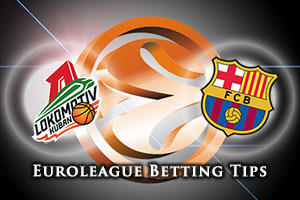 You can take FC Barcelona Lassa at +2.5, which is on offer at odds of 1.90. If you are looking for the Over/Under market, look to go OVER 150.0 which is available at odds of 1.90. Bet Now!